There are countless destinations you can visit in this world which means you may not have a chance to visit the same place twice. It’s a good idea to make the most of any trip, especially if it takes you 10+ hours of travel to get there. We try to fit in as many key places in our itineraries for the regions we are exploring, but we just can’t include all of them given our set timeframe. 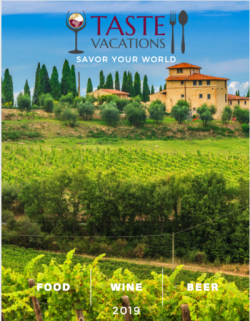 As a food, wine, and beer tour company, we of course highly recommend checking out Argentina’s fantastic wine and cuisine. 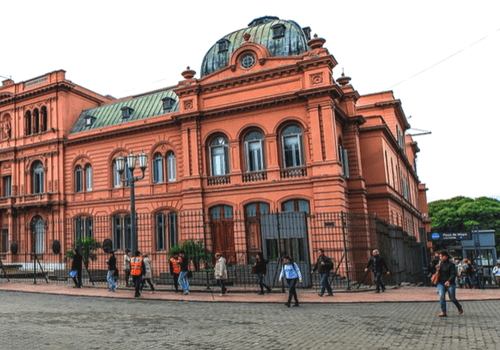 Whether you are joining us on the Chile & Argentina Wine Tour or not, we’ve compiled a few ideas of how you can extend your stay and soak up as much of Argentina as possible! Make sure to stop over in Argentina’s captivating capital city, Buenos Aires. There are so many interesting and intriguing neighborhoods to explore, each with their own unique attractions. Visit San Telmo to catch a street tango show or if there on a Sunday morning, explore the incredible Feria de San Telmo, an open-air market full of antiques and artwork. Just a few blocks away you can wander through the chic and sprawling neighborhood of Palermo which offers a number of museums, high-end boutiques, and cafes. Or take a break from the urban setting and pop over to the Paseo del Rosedal or Rose Garden Walk where you can take in over 1,000 different rose species. Buenos Aires is an invigorating city with hidden gems hidden around every corner. Llama is actually a popular regional dish in Argentina’s unique JuJuy province. It’s a high protein, low-fat meat that is typically found in cazuelas (casseroles) with carrots and papas andinas (native Argentine potatoes) or served as a steak. 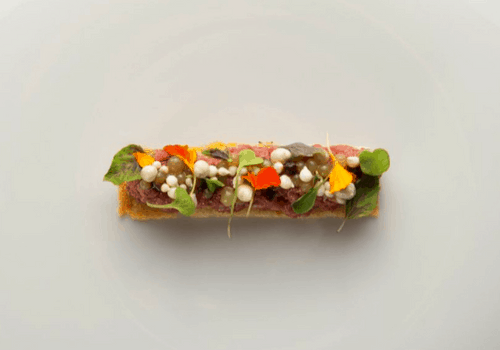 If you find llama on the menu, we’d recommend giving it a try! Head deep down south to the land of majestic glaciers and mountains – Patagonia! 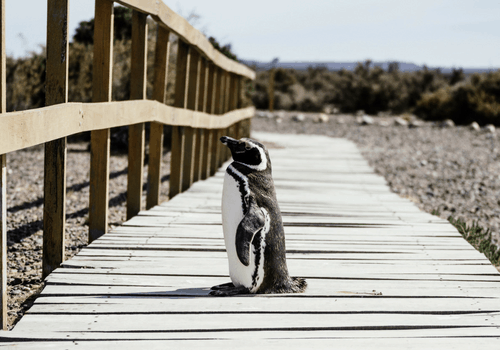 Catch a glimpse of the region’s spectacular wildlife like penguins, whales, guanaco, condors, and more. Explore Argentina’s wildest frontier full of astounding scenery that ranges from alpine lakes, rushing rivers, dense forests, open grasslands, mammoth glaciers and stunning peaks. You can choose your mode of transportation be it by foot, horseback, or kayak. 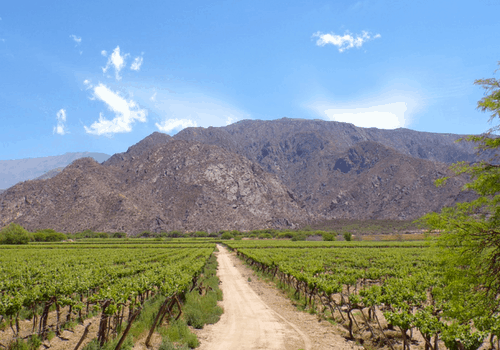 Haven’t tasted enough wine on our Chile & Argentina Wine Tour? Check out Cafayate, located just outside the city of Salta and set in the beautiful northwestern region of Argentina. This wine region has been growing in popularity and prominence and is even beginning to rival Mendoza, Argentina’s most famous wine region. You’ll sip on a variety of wines such as Malbec, Torrentes, Chardonnay, and Cabernet Sauvignon. Some of the more popular wineries you might want to visit are Bodega El Porvenir, Bodega El Esteco, and Bodega Nanni. 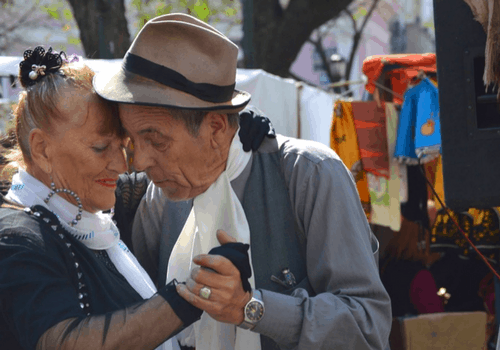 What better souvenir than learning to dance the tango – one of the most well-known and integral parts of Argentine culture? Tango classes, dance halls, and shows are abundantly available, especially in the larger cities. There are actually several different types of tango so you may want to catch a show or two before deciding on what style to learn.